Subaru has decided to split up the Impreza and WRX. They also plan on taking the new WRX back to the WRC. The new Subaru WRX will arrive 2014 and it will be in a completely different line from the Impreza. The new WRX will be designed as a sport coupe with a shorter wheelbase allowing much better handling. 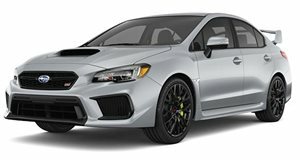 A source from Motor Trend revealed: "Apart from a few nuts and bolts, every part on the WRX will be unique, even the engine and body. Obviously the WRX&apos;s platform will be inherited from the new Impreza, but it will be radically modified and significantly shortened." 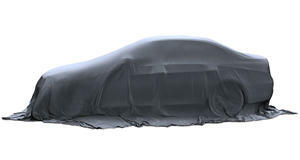 The base 2014 Subaru WRX will most likely be equipped with a 1.6-liter turbocharged flat-four engine. Looking at a base output of 266hp, you can expect Subaru to make good on the talk of a twin-charger system. The new WRX will also feature an improved STI variant. As Subaru plans to get back into rally series racing, the future WRC rally will be based on that very STI. The WRX STI variant should feature the same powerplant tuned to around 300hp. According to the source from Subaru: "the first thing you must understand about our all-new WRX is that we have developed it from the ground up to win in motorsports events." The source continued further: "That&apos;s why we have focused so heavily on weight issues, not to mention a shorter wheelbase that permits faster, more precise turn-in. Marry that to our proven AWD system, and we think we have a winner." Subaru plans on competing the new WRX in domestic rallies as well as in the Europe&apos;s World Touring Car Championships. Their sights are on a long-awaited return to the WRC. The all-wheel-drive Subaru WRX is expected to hit dealerships in late 2013-14 and price around $26,000-$29,000.